This was my attempt to make a pie for the birthday of one of my co-workers who is often too busy, too stressed, and too under-appreciated. She doesn’t really like sweets, but she did admit she liked strawberry pies. I ran out late last night to grab all the fixin’s, using this recipe, and stayed up, mixing cornstarch and sugar and strawberries into a sweet, gooey mess. 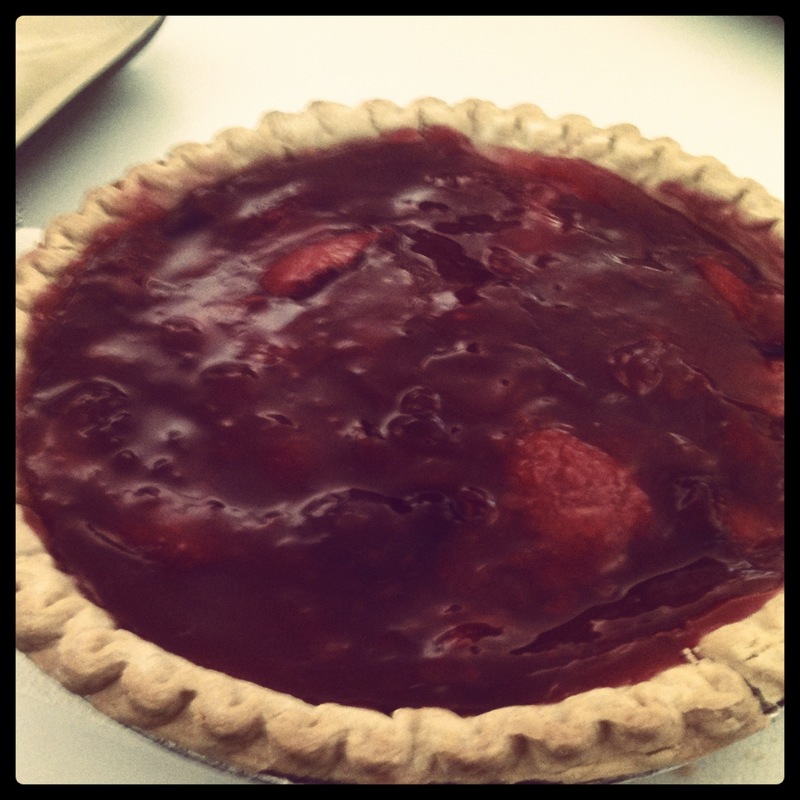 Step 1 of “Operation Strawberry Pie” was a success! It was beautiful and very easy to make. 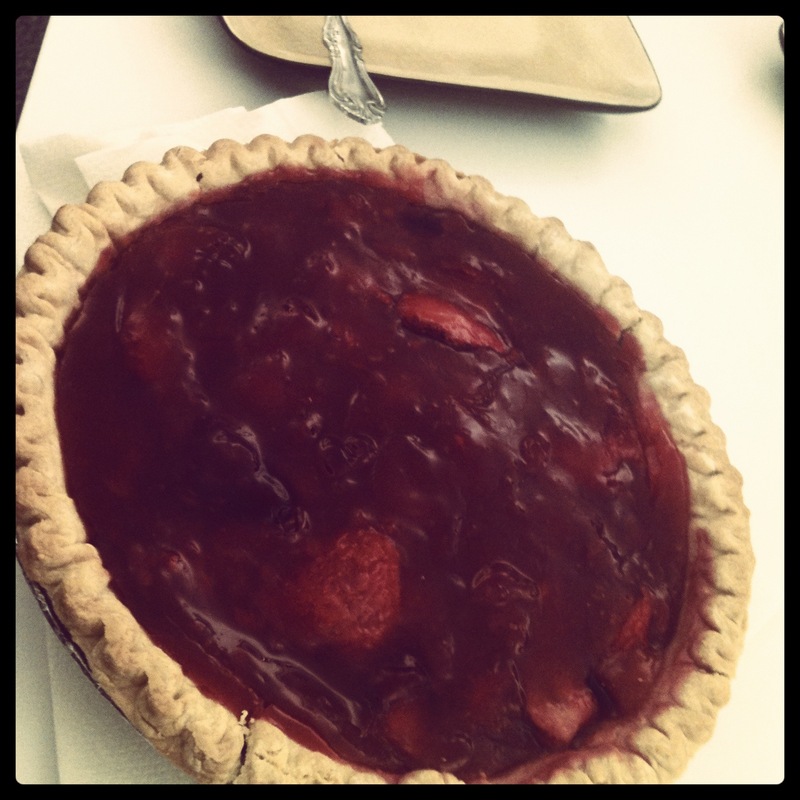 Step 2, titled “Give Delicious Strawberry Pie to Co-Worker” was an absolute failure: my co-worker was not in today. Silly as it sounds, I was crushed. I wasn’t upset at my co-worker by any means, but more at myself: I didn’t realize how important it was to me to be able to give it to her, and now just because my plan fell through, I was upset? It was a little selfish. Maybe a lot selfish. But the pie, as pies are wont to do, humbled me. You knew I was going to go there. The pie crust was becoming soggy really quickly, and I knew it wouldn’t last until tomorrow. 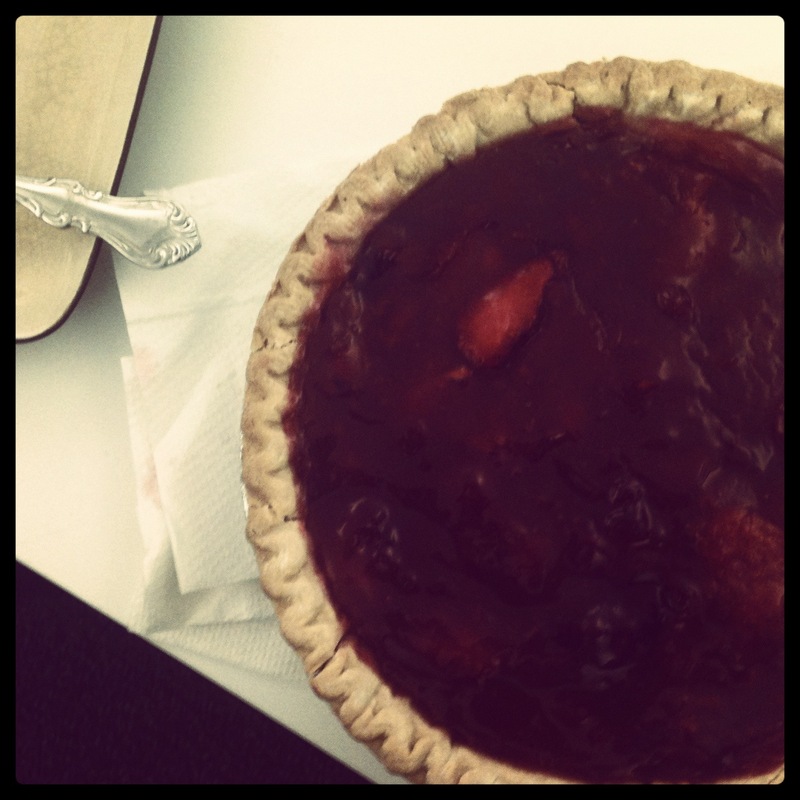 I sent a picture to my co-worker, who was touched by the gesture – no pie required. The rest of us enjoyed a slice (or 3) in her honor. And I had a bit of humbleness with mine. And that was my Monday. Did you have a good one? I do hope so! What an awesome thing to do for your coworker! It’s too bad that she didn’t get to have any, but hey, it’s the thought that counts, right? Aww thanks! And yes – it was definitely an exercise in making the thought count! Mmm…that looks good. Soggy crust or not!